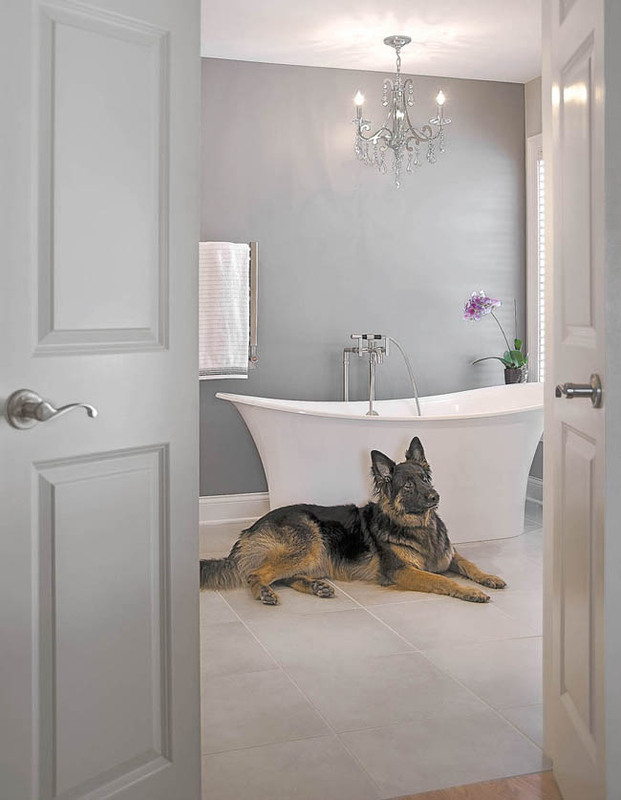 Soothing shades of gray provide a dramatic backdrop for the freestanding Victoria & Albert bath tub. 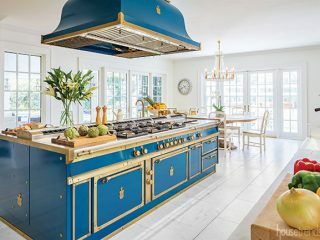 Rarely does a homeowner walk into their new residence without thinking about how the home could be changed a little bit here and there to be more accommodating. 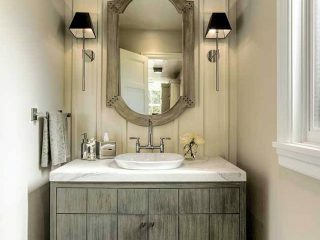 Emily and her husband were settled happily in their New Albany home, but they wanted the master bathroom to be revitalized and the closet space expanded. The couple decided to extend 30 feet of the home’s rear façade wall out six feet to match the rear wall on the first floor. The expansion project doubled the size of the bathroom, doubled the closet space, and created a vital center for relaxation. “For me, the bathroom is my place to get away from it all,” says Emily. 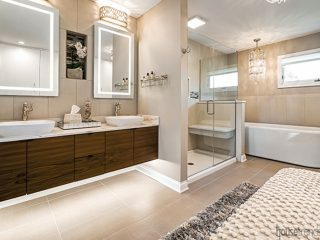 She continues to say that Todd Parker, Owner of Formula Five Design/Architecture, and Andrew Hale, Owner of The Hale Construction Company both easily caught on to her conceptual ideas about the bathroom. 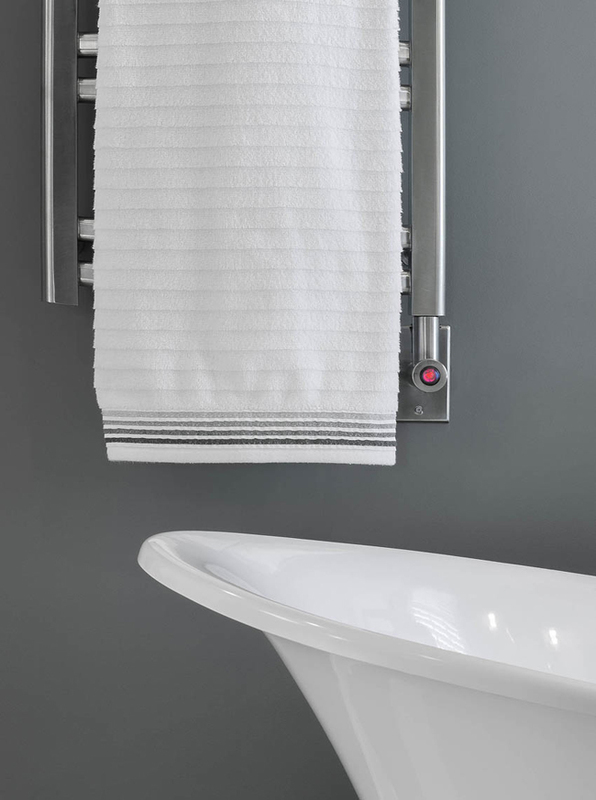 “Hale understood what I meant by relaxation and suggested a speaker system for the shower that I could connect my iPod into,” says Miller who absolutely loves this added feature. 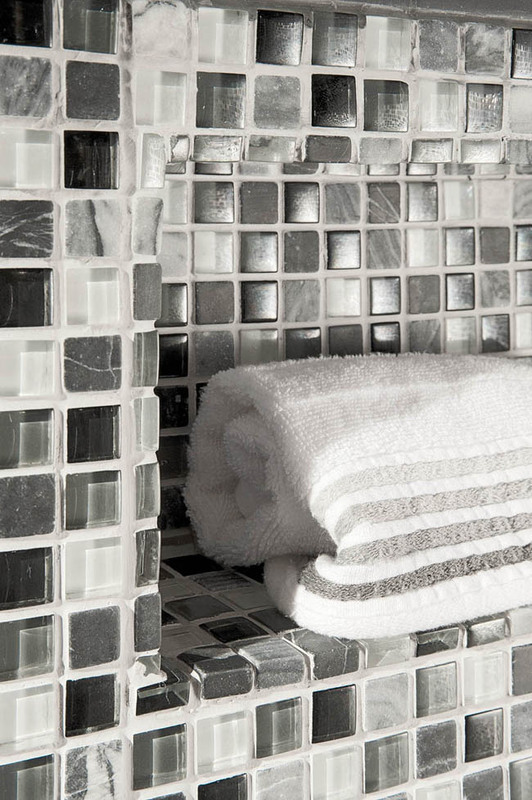 The shower is roomy, has steam technology, and is decorated with a timeless glass mosaic tile. 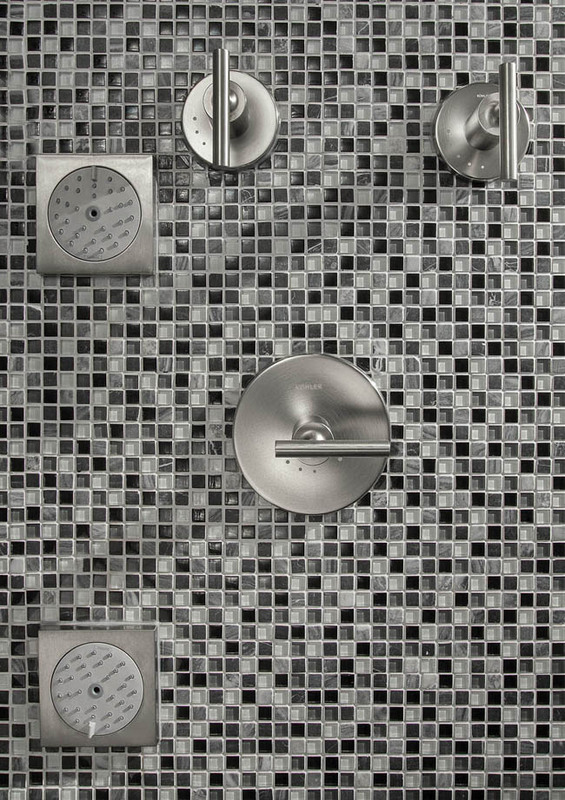 To add even more relaxation options to the shower they added four body sprays, a rain head and a hand-held faucet. Functional, but not exactly inviting, the home’s original bathroom was long, narrow, and crowded with two side-by-side his and her vanities. Emily was anxious to separate the vanities across the room from each other and to add a new set of cabinetry for each as well. She selected contemporary vessel sink basins that are five inches deep and swoop up at elegant angles on each corner. The black granite countertop has a leathered texture that contrasts well against the smooth, white sinks and contemporary cabinetry below. 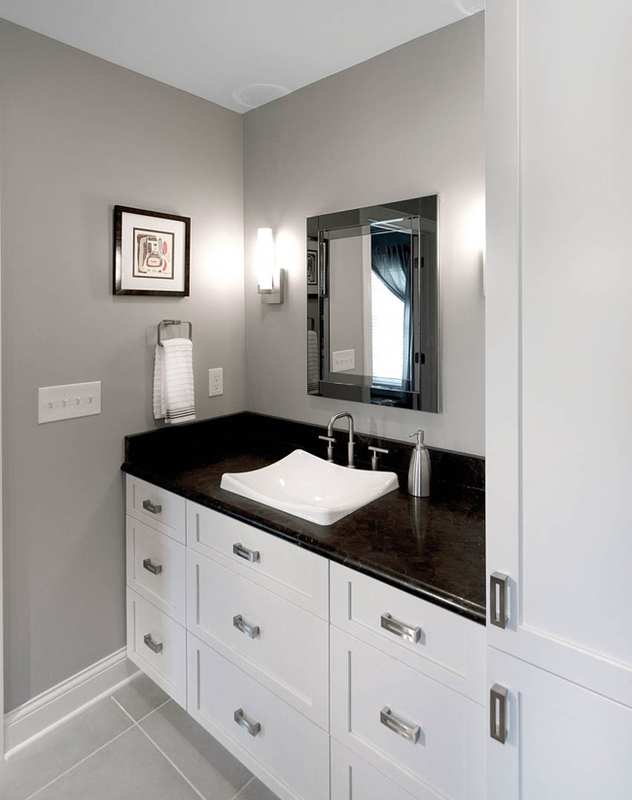 Each vanity has a modish reflective medicine cabinet framed by a set of beautiful sconce lights. 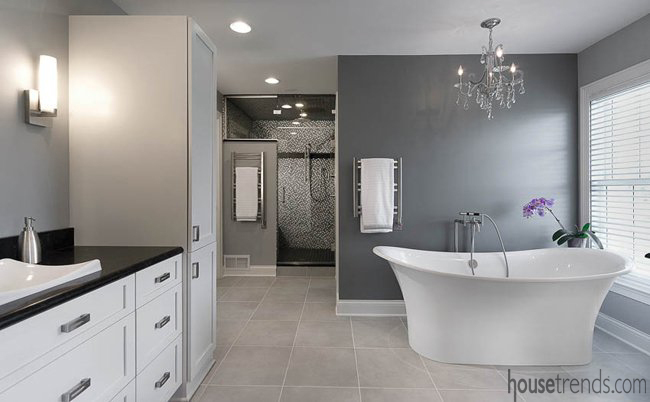 Emily selected an elegant new bathtub that adds a touch of signature value to the room. “I was very particular about the type of tub I wanted. It had to be both beautiful and comfortable. So, I tested them out in the showroom to make sure I found the one I was looking for,” she says. 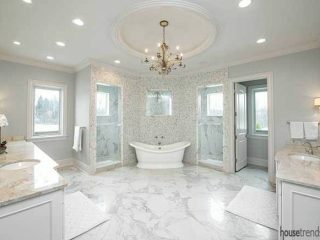 Over the top of the tub hangs a chandelier with a contemporary style. 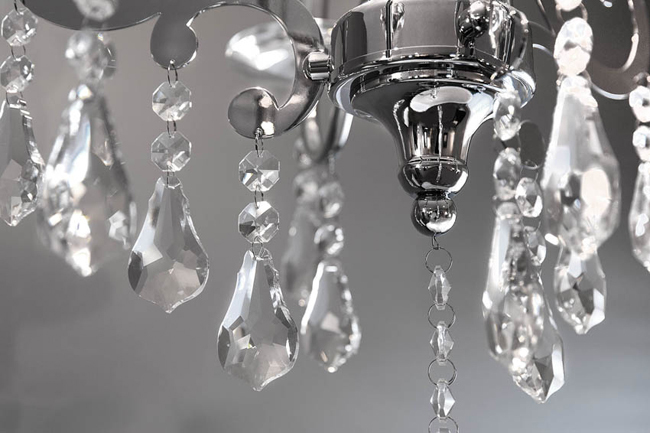 Set on a dimmer switch, this lighting fixture sets the right mood in the evenings for a relaxing bath. 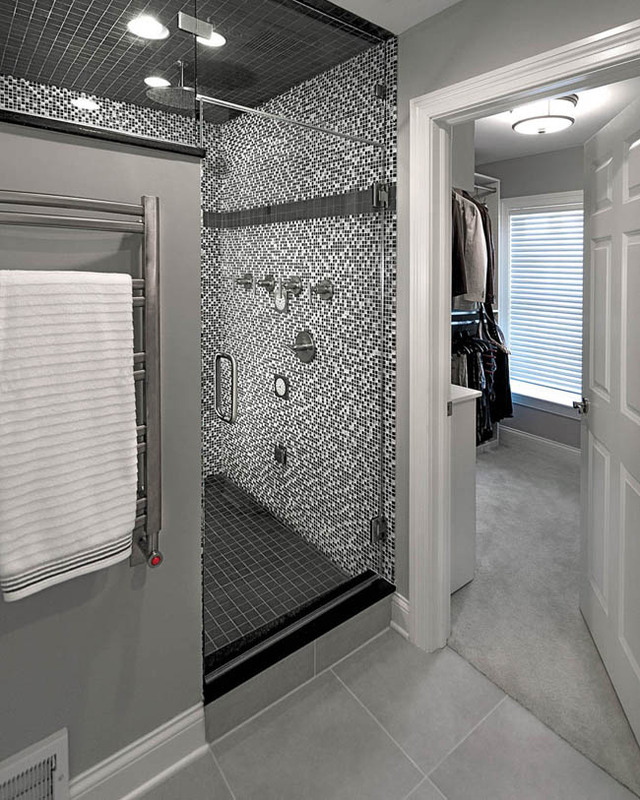 Each morning, both Emily and her husband can walk onto a porcelain tile floor that is warmed with radiant heating. This type of heat can reduce the load on the furnace and tends to feel more natural, making it a highly popular feature in home renovation projects. Miller says they have the floor on a low setting and that is all they need to take off the chill, even in winter. They also had a towel warmer installed, just one more convenience to help fight off the chill.